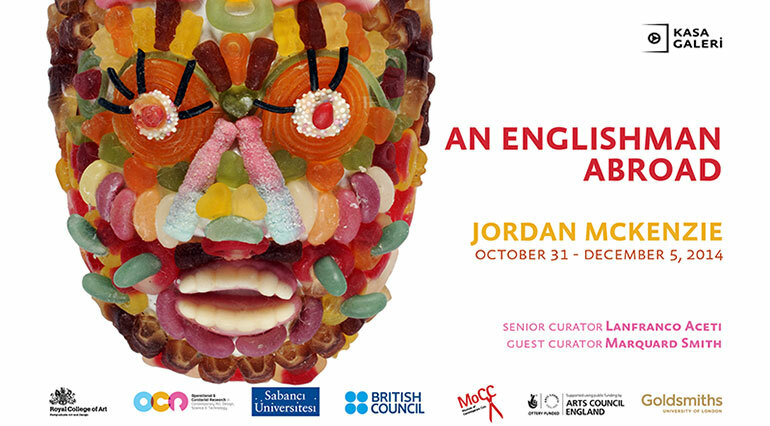 The exhibition An Englishman Abroad with artworks by British artist Jordan McKenzie challenges traditional perceptions of aesthetic and art as an endeavor disjointed by a social component. His artworks, a varied mix of performances, videos, installations and prints, bring into the fore issues of social realism, identity and gender in a British society that is increasingly in crisis. An Englishman Abroad explores, with a peculiar British sense of humor, how art can face up to the social and cultural challenges that have arisen and continue to permeate the repetitive crises that are characterizing the XXIst century, which have become a post-postmodern condition of globalized perpetual and widespread failures. The exhibition is preceded by a show on the Museum of Contemporary Cuts titled My Estate of Mind. With the gracious support of Arts Council England and British Council. Exhibition Dates: October 31 – December 5, 2014. Opening: October 31 at 6pm. Jordan McKenzie, Woolworth Death Masks, 2010. Assorted sweets purchased by the artist on the closing day of Woolworths, Bethnal Green, London 06/01/2009. Courtesy of the artist. Currently the artist is engaged in a fundraising effort to realize a performance and film piece titled Shame Chorus.